Motherwell manager Mark McGhee was the subject of half-time protests outside Fir Park after his team shipped five first-half goals against Dundee. The home team's inexperienced defence was ruthlessly exposed by an offensive Dundee line-up which consolidated sixth place in the Ladbrokes Premiership by following up victory over Rangers with a 5-1 away win, their first on the road since October. Marcus Haber struck twice, while Mark O'Hara and Craig Wighton also added to Zak Jules' early own goal as Dundee boss Paul Hartley again deployed four attacking midfielders behind a front two. Motherwell's sixth defeat in seven games this year saw them slip six points off the top six and was too much for some young fans on the back of their recent seven-goal thrashing at Aberdeen. The bulk of the section housing the Motherwell Bois group left at half-time to protest against McGhee outside the main entrance. The hosts were without three of their regular back four, with Stephen McManus facing six weeks out through groin surgery and full-backs Richard Tait and Steven Hammell confined to the stand through injury. The defence - comprised of Jack McMillan, Ben Heneghan, Jules and Joe Chalmers - had an average age of 21, but they had limited Celtic to two goals the previous weekend after McManus went off early on. However, they suffered the worst possible start when Jules, who gave away a needless penalty at Parkhead, gifted Dundee the opener inside seven minutes. There was little apparent danger when Cammy Kerr headed the ball back into the box after a twice-cleared corner, but the backtracking on-loan Reading defender stretched and looped a back header over Craig Samson. The 32-year-old goalkeeper twice put his young defence under pressure with poor kick-outs as Motherwell continued to look vulnerable, but they levelled in the 22nd minute when Louis Moult got a low shot away at the second attempt after Heneghan had headed down Chalmers' long free-kick. But the home team soon fell victim to three goals in eight minutes as Dundee swarmed forward. Haber took down O'Hara's header, held off Jules and turned and volleyed past Samson in the 27th minute. Samson was even slower to respond as O'Hara fired straight through him four minutes later after collecting Paul McGowan's pass just inside the box. And O'Hara soon got past Chalmers again before his cutback eventually fell for Wighton to drive home. Dundee ensured there was an added vitriol to the home fans' half-time jeers when they scored the simplest of goals seconds before the whistle. Wighton's free-kick found Haber unmarked at the back post and the Canada international headed into the far corner. McGhee waited until the 62nd minute before making a reshuffle. Winger Elliot Frear replaced Chalmers, Jules went to left-back and Carl McHugh dropped back into central defence. 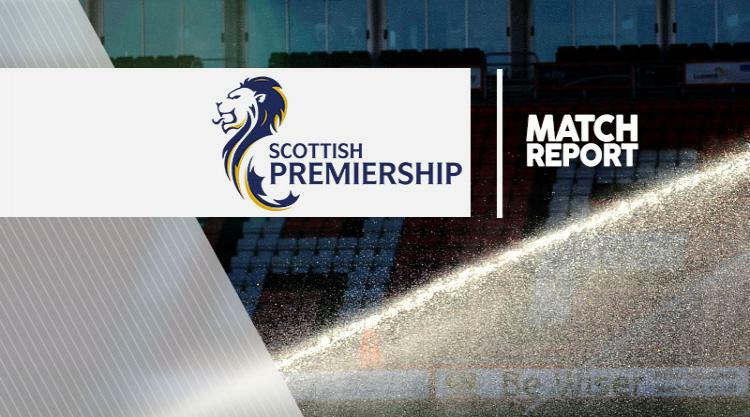 There were ironic cheers when Samson made two comfortable saves from Henrik Ojamaa, but Dundee had lost their attacking verve and Motherwell came closer in the second half. Scott Bain twice pulled off decent stops from Craig Clay, but the Motherwell fans in the 4,002 crowd, the vast majority of whom stayed until well into the second half, had to make do with seeing their team maintain the scoreline rather than threaten a comeback.